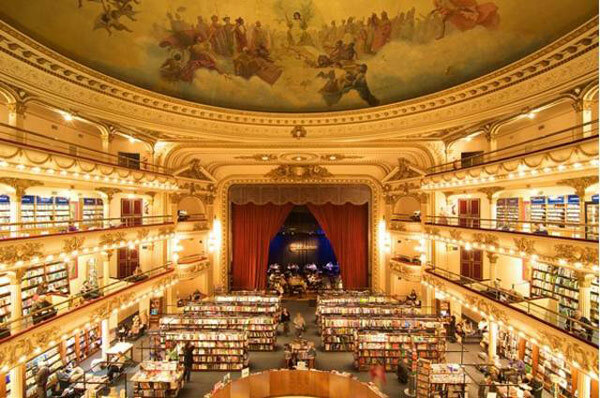 Two Sides to... Jo: 20 most beautiful bookstores in the world? How pretty are these bookstores? 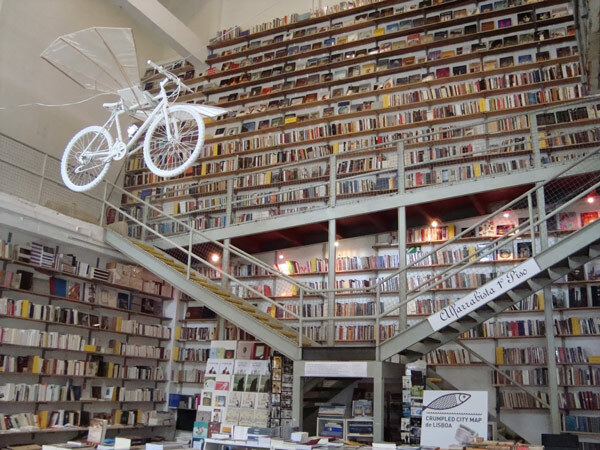 These are a few of the bookstores listed in Flavorwire's 20 most beautiful bookstores in the world. It makes me want to visit every single one of them. I've only been to one - Shakespeare & Company, which I found to be quirky and adorable. Every since I was a little, I've developed a great love of books. Every weekend I would beg my parents to take me to a bookstore or library just so I could surround myself with books and read to my heart's content. It was a place for me to explore and set my imagination free. But with the emergence of internet, ebooks and electronics such as iPad and kindle, I realised I haven't spend time in a bookstore lately. This definitely needs to be rectified. When was the last time you visited a bookstore? 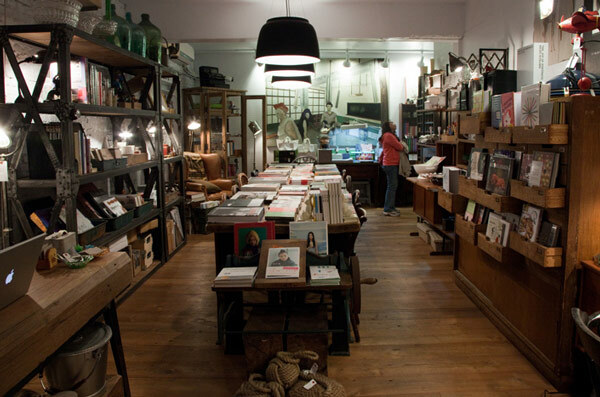 Have you been to any of the 20 bookstores mentioned on the list? 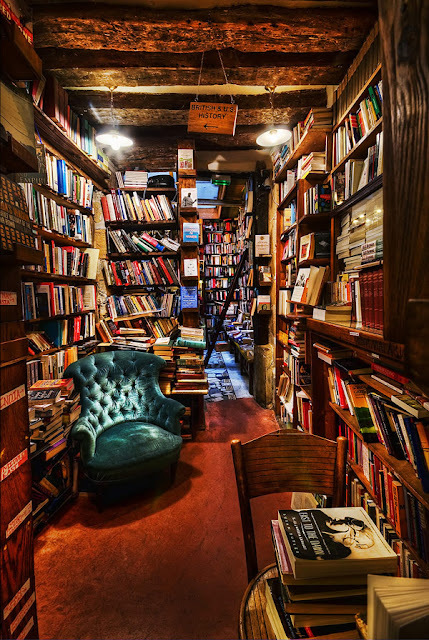 These bookstores are incredible - I'd like to go on a trip to visit ALL of them! So beautiful! I love the one with the white bike! 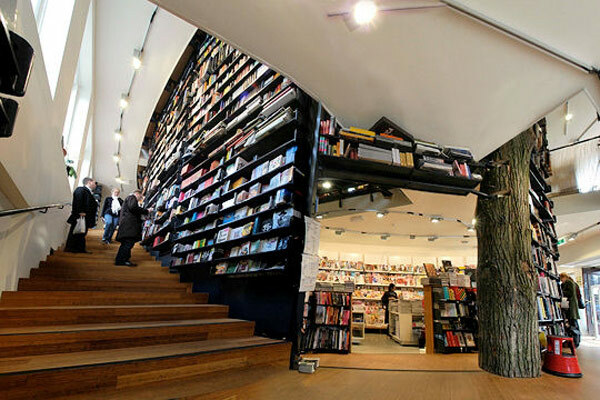 my jaw dropped at the sight of these bookstores. would loveeeeeeeeeee to visit them, especially the first one!! these are incredible! One of my brothers actually works at flavorwire, and both of them write book reviews for them on occasion. I haven't been to a beautiful book store in a while, but i definitely agree with you something special always happens at libraries! Sometimes I check out so many books they have to give me bags to carry everything, haha! Golly, I haven't had such a strong urge to run to a book store before! These are lovely! I remember heading to the public library as a kid and reading Encyclopedia Brown over and over again, haha. 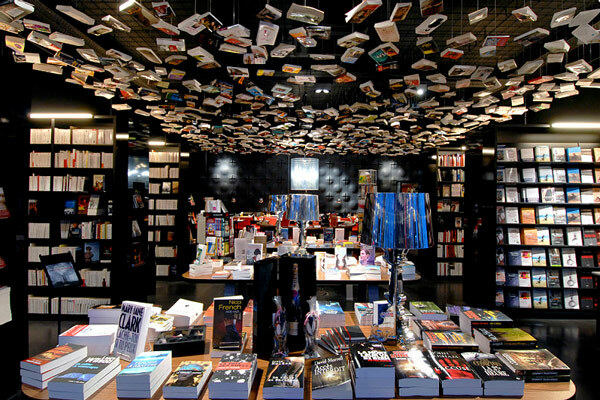 These are really awesome bookstores! I feel really sad that bookstores are not doing well financially anymore in this digital age. I've seen a few close down, which is a real shame. I love real books and browsing through bookstores. One word that describes when I saw these book stores- Wow. These are beautiful. I love the one with the bike hanging in mid-air. I haven't been to a bookstore in ages but I have a few favorites. They're usually used bookstores with tons of charm and creaky wooden floors and salespeople who have worked there forever. And ah, I adore Flavorwire!! They have some of the best entertainment compilation articles. Well... I was an assistant to the librarian at school for a few years. One of my hobbies was rearranging books in chronological order haha. Ooo.. that is awesome. I've only recently discovered flavorwire. Yes I do that too because I was afraid the books I want to read will disappear. I can spend hours in a bookstore as well. And I've been lucky enough to be in the beautiful Selexyz bookstore in Maastricht, my current homeplace. It is really impressive inside, even if the book collection is not that complete and some sections are a bit of a mess. But still, it is really worth a visit and you can enjoy a nice coffee at the Coffee Lovers café inside! I love these so, so much. Makes me long to live somewhere other than the land of Barnes and Noble.